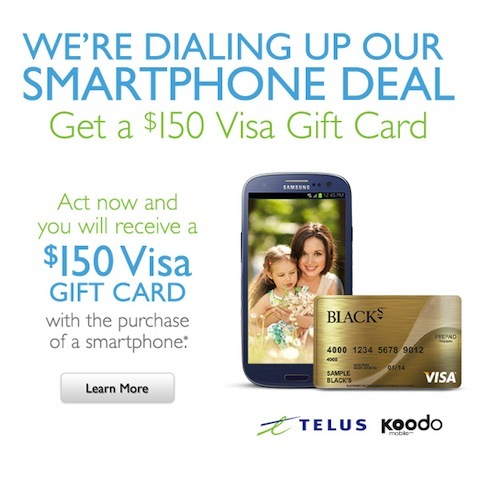 Blacks Photography has announced it now carries cellphones from Koodo, and as part of the launch celebration they are offering a $150 VISA gift card to any new TELUS/Koodo tab activations or 2-3 year term contracts. Prepaid is not eligible for this promo. Blacks confirmed with us the iPhone 5 is eligible on this offer and you will get the VISA gift card right away in-store. That means the gift card makes your 16GB iPhone 5 almost free, or about $29. Just a few days ago we told you Koodo introduced a promo with double the voice minutes. The offer goes until Sunday, April 28th. 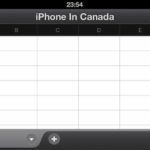 Your best bet is to check your local Blacks Photography location to see if they are selling Koodo products, or check out the initial list of stores for this week here. Let us know if you’re going to jump on this.